“Chinese Sea Mines,” Underwater Weapons—Mines, Jane’s Underwater Warfare Systems, 19 May 2014. Peter A. Dutton, “China’s Maritime Disputes in the East and South China Seas,” Testimony before a Hearing of the House Foreign Affairs Committee, 14 January 2014; published in Naval War College Review 67.3 (Summer 2014): 7-18. Text differs in minor ways from that published online by the House Foreign Affairs Committee. Bryan McGrath, “China Thinks ASW,” Information Dissemination, 11 April 2014. Andrew S. Erickson, “Chinese Air- and Space-Based ISR: Integrating Aerospace Combat Capabilities over the Near Seas,” in Peter Dutton, Andrew S. Erickson, and Ryan Martinson, eds., China’s Near Seas Combat Capabilities, Naval War College China Maritime Study 11 (February 2014), 87-117. 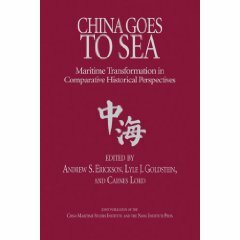 Peter Dutton, Andrew S. Erickson, and Ryan Martinson, eds., China’s Near Seas Combat Capabilities, Naval War College China Maritime Study 11 (February 2014). Harry Kazianis, “Missile Defense’s Real Enemy: Math,” The Diplomat, 2 February 2012. … There is… one thing you can’t argue against, simple math. Gabe Collins, “Gray Matter for Gray Hulls: The Intellectual Software Powering the U.S. Navy’s Asia-Pacific Rebalance,” Information Dissemination, 22 January 2013. The following guest post is by Gabe Collins. 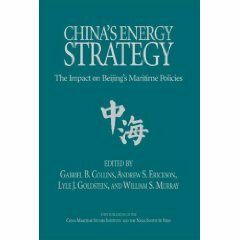 Gabe Collins is the co-founder of China SignPost and a former commodity investment analyst and research fellow in the US Naval War College’s China Maritime Studies Institute. 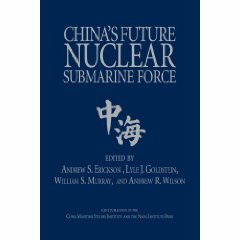 Lyle J. Goldstein, ed., Not Congruent but Quite Complementary: U.S. and Chinese Approaches to Nontraditional Security, Naval War College China Maritime Study 9 (July 2012). Rear Admiral John N. Christenson, U.S. Navy, President, Naval War College, “Promoting Global Maritime Partnerships,” President’s Forum, Naval War College Review, 65.1 (Winter 2012): 12. David Curtis Wright, The Dragon Eyes the Top of the World: Arctic Policy Debate and Discussion in China, Naval War College China Maritime Study 8 (8 August 2011). 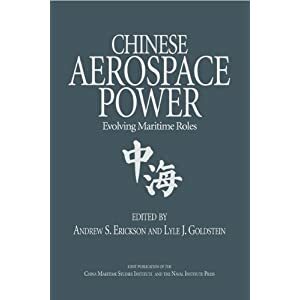 “Erickson and Goldstein Publish Book on Chinese Aerospace Power,” Naval War College Public Affairs Office, 25 August 2011. Tyler Will, Naval War College Public Affairs Office, “CMSI Hosts Conference on China’s Future Plans,” 13 May 2011. NEWPORT, R.I. – The China Maritime Studies Institute (CMSI) at the U.S. Naval War College (NWC) hosted a conference to discuss “China’s Strategy for the Near Seas” May 10-11. Cmdr. Carla McCarthy, Naval War College Public Affairs Office, “Dutton Becomes Director of NWC’s China Maritime Studies Institute,” 12 May 2011. NEWPORT, R.I. – Professor Peter Dutton officially stepped into the position of director for the China Maritime Studies Institute (CMSI) at the Naval War College (NWC) on May 11. Richard Desjardins, “Acquiring Expertise on the Chinese Military,” Canadian Military Journal 11.2 (Spring 2011): 63-66.